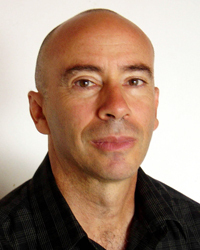 Marc Lesser is a CEO, mindfulness teacher, author, and speaker. He has led mindfulness and emotional intelligence programs at many of the world’s leading businesses and organizations including Google, SAP, Genentech, and Kaiser. He is currently CEO of ZBA Associates, a company providing mindfulness-based leadership trainings, executive coaching, and consulting to companies and organizations. Marc was the co-founder and CEO of the Search Inside Yourself Leadership Institute whose core programs he helped develop within Google. He was a resident of the San Francisco Zen Center for 10 years and former director of Tassajara, Zen Mountain Center and currently leads Mill Valley Zen, a weekly meditation group. Marc has an MBA degree from New York University. He is the author of Seven Practices of a Mindful Leader: Lessons from Google and a Zen Monastery Kitchen, Know Yourself, Forget Yourself and Less: Accomplishing More By Doing Less.